This article was originally published by GR on June 2017. In years before 2014, the Afghan think tanks would opine that the US may wind down the Afghanistan’s conflict through the end of this year, inferring that the goal of founding the nine large military bases across the country is almost accomplished. Many would delightfully say that Afghanistan is phasing into a new chapter with the flames of war quelled as the US government insisted on troop withdrawal. Entrenching military headquarters in strangers’ territories has no excuse or legal ground under any circumstances. The Afghan nation would cast aside objection to this permanent military foothold thanks in most part to the bitter reality that the US operates about 800 enormous military stations and installations in more than 70 countries worldwide, and would embrace the approach of so many other host countries that are economically and militarily too powerful, provided that they are offered the same peaceful life the others enjoy. The largest US military base by quantity of personnel is situated in Germany with over 9000 members. The world’s challenging power claims that Europe-based military headquarters safeguard its allies in the continent against Russia; stations in the Middle East ensure the free flow of oil and contain Iranian influence, and bases in Asia including Afghanistan protect its Asian allies from a rising China and North Korea. The reality is no country in the world is willing to bully the other to a measure that might require building up of as much huge and as many more bases. 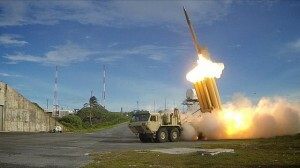 North Korea, for example, has been demonized in recent years through the lens of media, but indeed, after the brouhaha over threats from North Korea unexpectedly faded out, it unveiled the secret behind it which was the installation of THAAD defense system in South Korea’s border with North. It elicited extensive reactions from South Korean communities. It also opened the mind that the North Korea’s entire boasting of nuclear advances and test-firings were just seen as potato-small challenges that is overplayed to allow the US place THAAD for objectives beyond the region – China and Russia. The US military seniors are reasoning that if they bring troops back home, they may be less safe. As a largest military operator abroad, hasn’t there been any so-called terrorist attack in the US or other European countries so far. Or the number of overseas servicemen still needs to mount to contain these risks. In 2005, the Uzbekistan’s government gave the US a deadline of six months to quit its large military base in southern town of Khanabad which was also referred to as K2. The military station was opened weeks after 9/11 to supply logistical aid for the Operation Enduring Freedom in Afghanistan. Washington faced quandary and scrambled to renew the leasing agreement for the base, with US$ 15 million already paid to that date. The US offered a hefty aid package to make this former Soviet stronghold accept the request. But the order remained firm to take effect. The US bases all over the world has back fired in many ways. Taking Iran as example, the Islamic revolutionary regime kicked off and beefed up its nuclear enrichment program due in main part to deter rising US bases on the east and west. By the same token, North Korea solidified its offensive and defensive power, prompted to do so for the large-scale US installations in South Korea and Japan. Under present circumstances when the US bases are overwhelming the jurisdictions of the enemy states [Russia, China or Iran], how would it react if one of rival states move its military base somewhere close to the US? 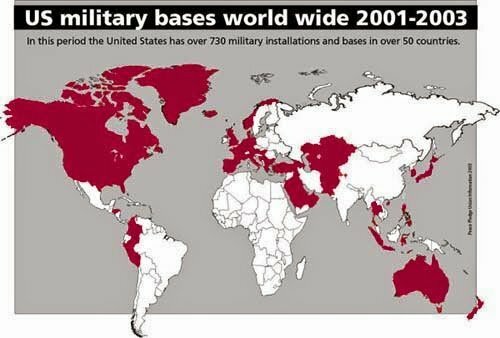 Apart from Afghanistan which is under outright occupation, the rest of the world nations housing the US military bases feel belong to colonial territory. 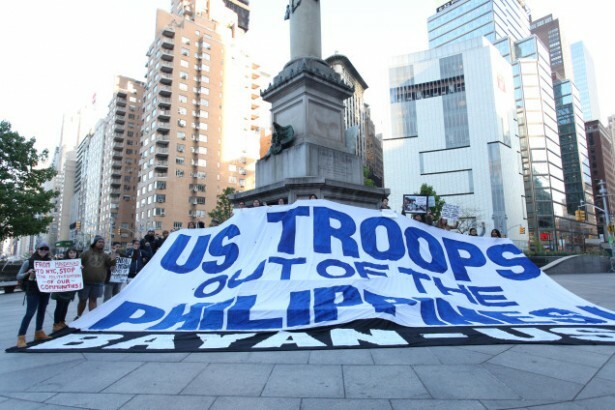 In 1991, the Philippine Senate attacked on the US military presence, calling it tantamount to colonialism and affront to Philippines sovereignty and then president Aquino ordered complete withdrawal. 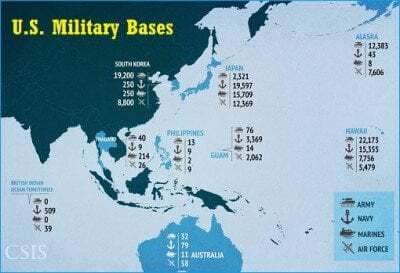 Those US military bases sitting somewhere between the extremes of the US and a potential rival may play bulwark to the US defense. That is to say, these military bases armed to teeth with advanced warfare are on the frontline and fire would initiate from the same points as instant response or preemptive strike on the opposite fronts. What is vague to mind is to what extent does the US guarantee the safety of the accommodating states? If Russia or China points one arm to the US in the event the chances of a hot war come to a head, the other is targeted at Afghanistan or others. No inhabitant would be in security. This theory, thus, discredits the legality of military bases at all. If the US goes to war with China over the South China Sea dispute, first it needs to deliver a security guarantee to Taiwan, Japan, South Korea and the Philippines. The last country in row has already backed down from the US-China strife by uttering “NO” to the US military presence there. Afghanistan is the most defenseless of all submitting states hosting the US troops. The US, as alleged “custodian” of Afghan nation against foreign aggression [stated in Kabul-Washington Bilateral Security Agreement] has done the least for the dying nation in return for immense military bases it occupied. There is no modern defense system in place, other than something to protect the bases. As a most destructive non-nuclear bomb, the use of MOAB on Afghan soil alerts the Afghan citizens about loads of such explosives behind the perimeters of the US stations. If there can be MOAB in their camp, there certainly are other demolishing ordnance like those used in latest truck bombing in Kabul’s diplomatic quarter that sent powerfully blowing shockwaves to surroundings.